Spain’s foreign minister said Tuesday that an independent Scotland could rejoin the European Union after Brexit – and warned of the United Kingdom’s ‘weakness’. Previously, Madrid has been seen as an obstacle to Scotland joining Europe, as it faces its own Catalan separatists’ demands. 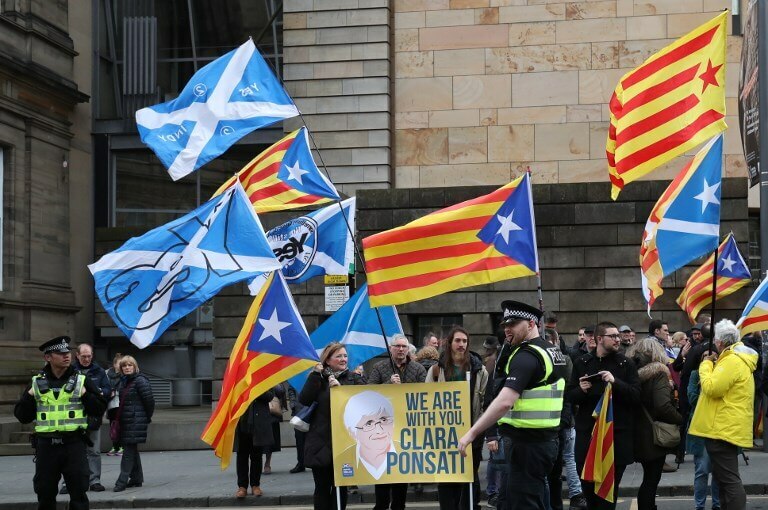 But, with Britain to leave the EU on 29 March, Foreign Minister Josep Borrell said that if Scotland follows a legal path to leave the UK it could come back. ‘Why not, if they leave Britain in accordance with their internal regulations?’ Borrell asked, in an interview with the Politico EU news site. Scotland held an independence vote in 2014, but the Scottish nationalists were defeated at the ballot box. In the same year, Spain refused to recognise a symbolic Catalan ‘consultation’ poll. But, when Britons voted in June 2016 to leave the EU, a majority in Scotland wanted to remain, reviving talks of another independence bid. ‘I am very much (more) worried about the unity of the United Kingdom than the unity of the Kingdom of Spain,’ Borrell told Politico in the interview. Spain has its own concerns about Brexit plans, and is this week pushing for a formal declaration it must give the green light to any change in Gibraltar’s status. Madrid lays claim to the British overseas territory and wants Brexit agreements to confirm that it must come to an accord with London on its future.